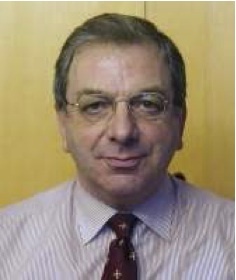 David Little retired in 2008 as Head of the School of Linguistic, Speech and Communication Sciences and Associate Professor of Applied Linguistics at Trinity College Dublin. His principal research interest is the theory and practice of learner autonomy in second language education, on which he has published extensively. From 2001 to 2008 he was honorary director of Integrate Ireland Language and Training, which was funded by the Irish government to provide intensive English language programmes for adult immigrants with refugee status and to support the teaching of English as a second language in primary and post-primary schools. He was a consultant to the Council of Europe’s European Language Portfolio Validation Committee (www.coe.int/portfolio) from 2000 to 2004, vice chair of the committee from 2005 to 2006, and chair from 2007 to 2010. Five of the language teaching projects in which he has been involved have been awarded the European Language Label for excellence and innovation, and in 2010 he was one of Ireland’s Language Ambassadors of the Year. Theories of second language acquisition differ in many respects, but they all agree that spontaneous use of the target language plays an essential role in the development of proficiency: the target language itself is the principal tool we use in order to learn it. One consequence of this view is that the scope of the individual language learner’s autonomy is always a function of his or her level of proficiency. In my talk I shall develop this argument with reference to Vygotsky’s notion of language as a psychological tool. I shall then go on to consider the variety of pedagogical tools that can support target language use. In doing so I shall pay particular attention to the European Language Portfolio’s checklists of ‘I can’ descriptors, which can help learners to identify learning targets, assess learning outcomes, and talk about the target language and its use – in the target language. Leni Dam has described evaluation as the pivot on which learner autonomy turns: we cannot plan our learning without first evaluating what we already know, and unless we evaluate the learning process and its outcomes we cannot proceed to further planning. This workshop will give participants an opportunity to explore some of the practical implications of the theoretical arguments developed in my plenary talk. Specifically, we shall consider how to use checklists of ‘I can’ descriptors to monitor individual learning and the progress of the class as a whole. Participants will be able to adapt the workshop materials for use in their own classrooms.